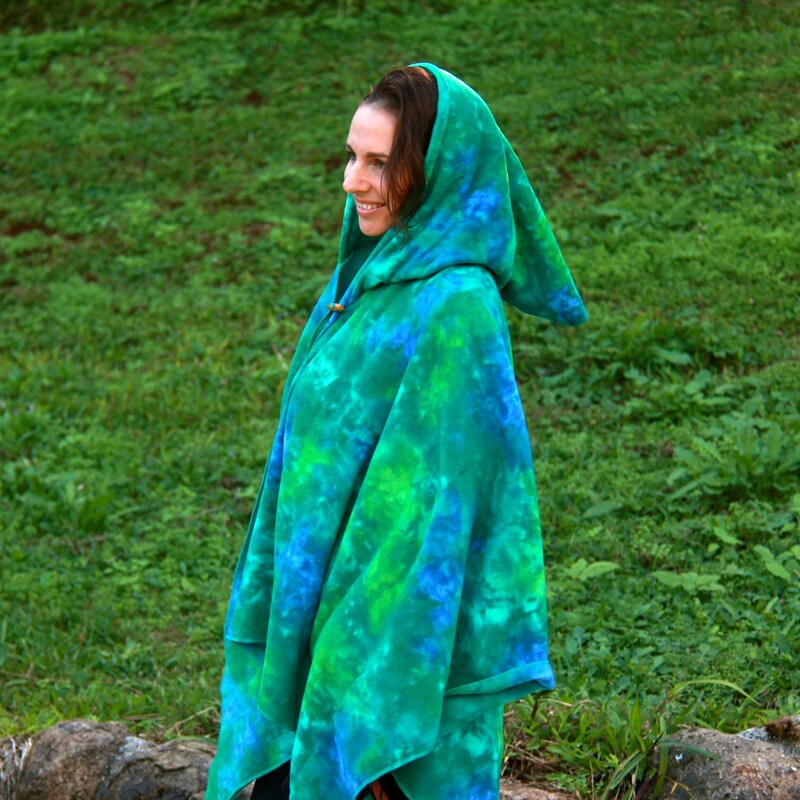 This UNISEX fleecy cape is an all-year round friend, but is an absolute must in Winter. 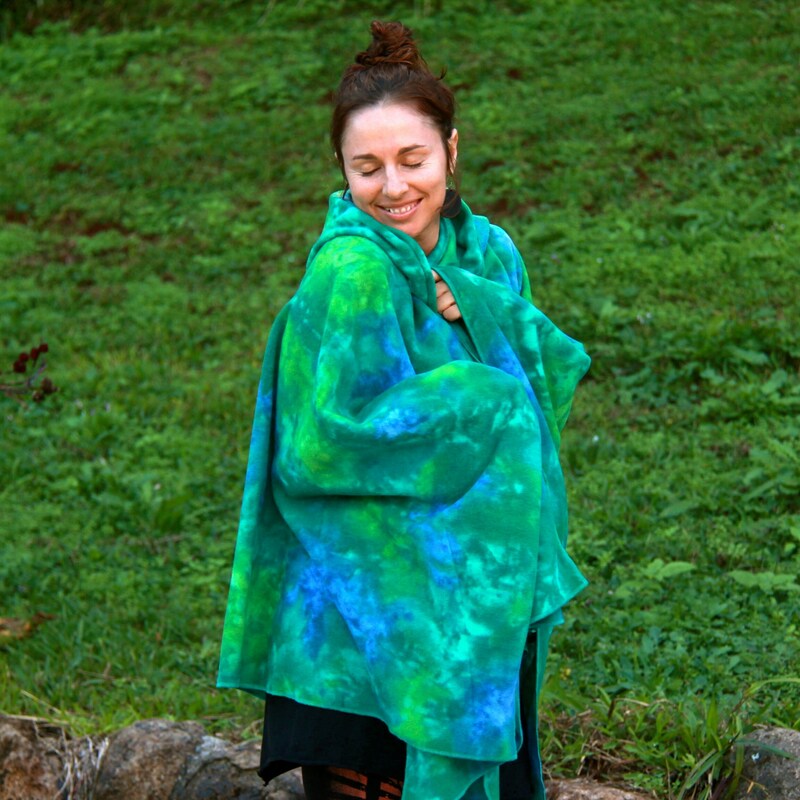 There is a luxurious amount of fabric to wrap you up to keep your body-heat in and the chill out. 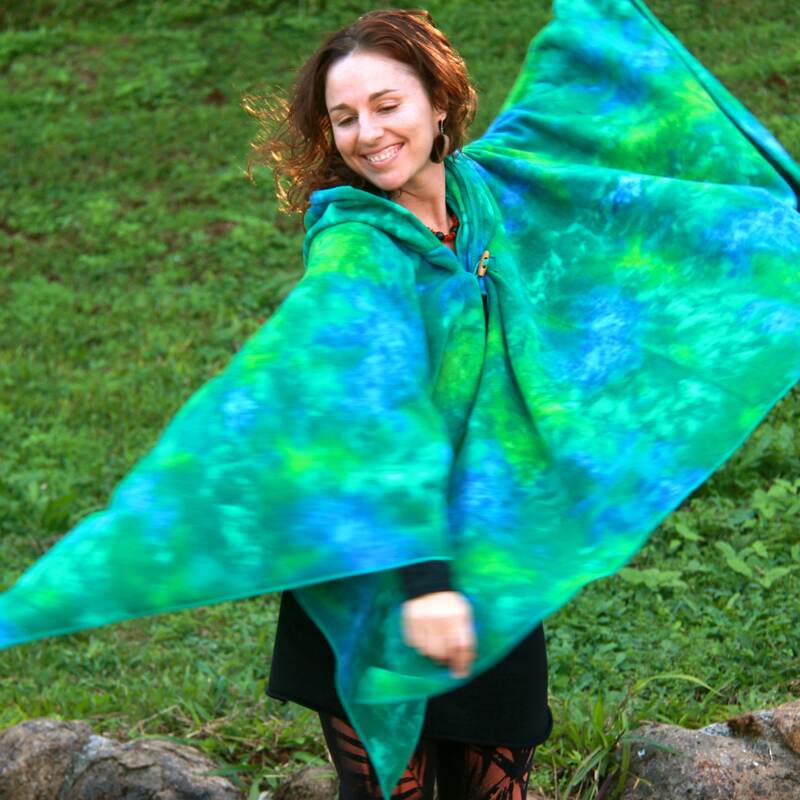 I also make them in 9 other block colours (not mottled) with a round, pointy or no hood... see my other cape listings. - A spacious pointed hood. - 2 internal triangular pockets!... not all my capes do. 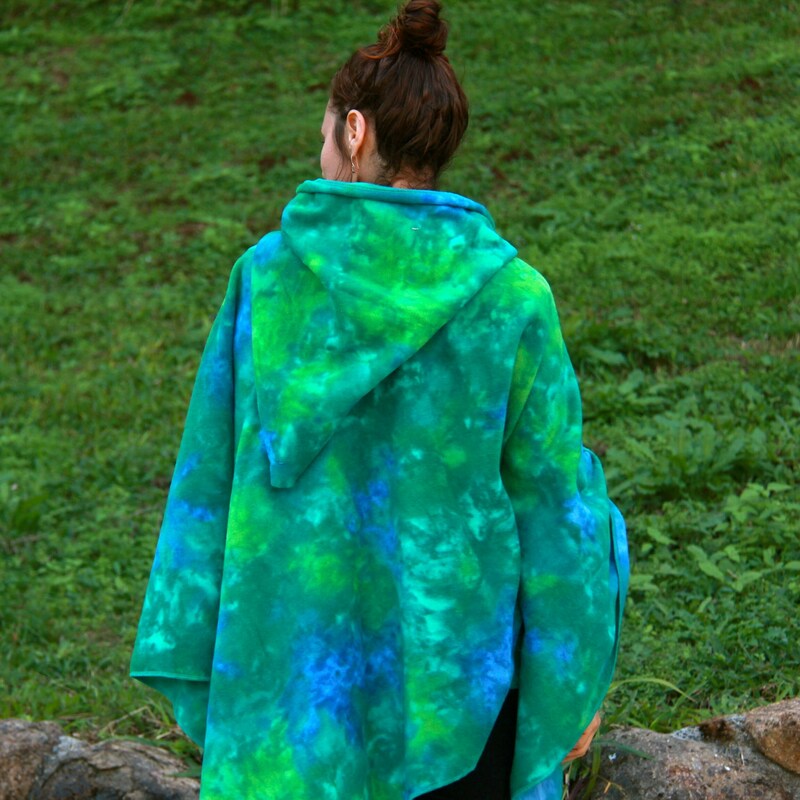 - 100% Polar fleece, which is made from post-consumer plastic bottles! 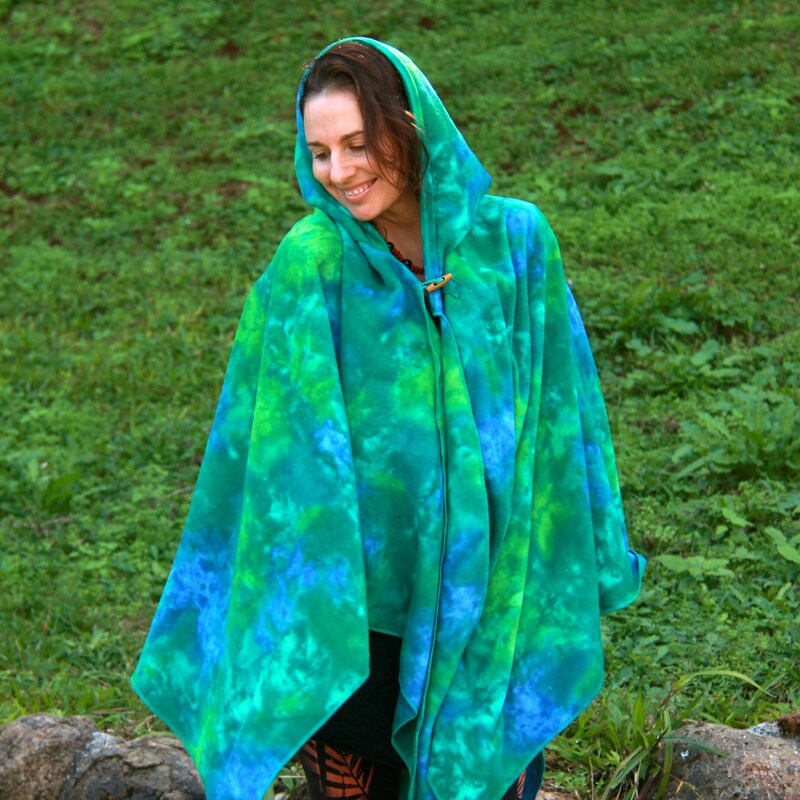 - Mottled green and blue colour which has a tie-dye appearance. - Handmade silk toggle-cord, crafted in my studio from hand-dyed silk off-cuts from other projects. 165cm / 5'4" tall, AU size 10.